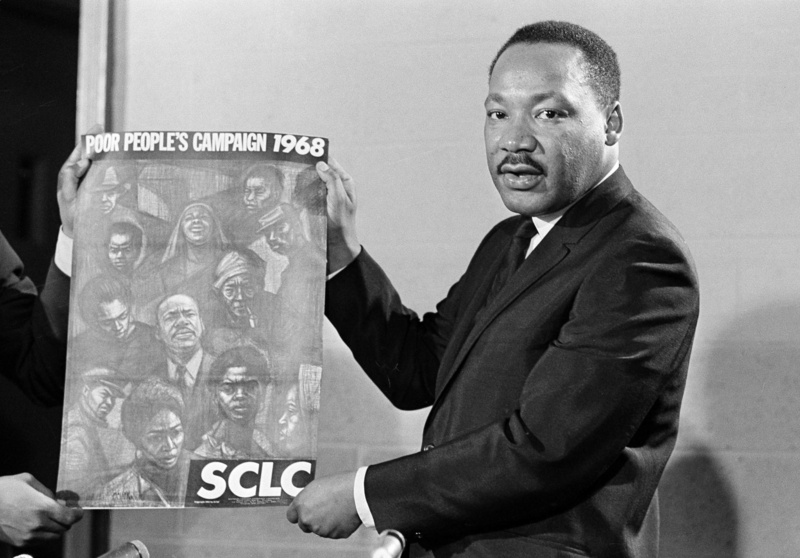 Honor Dr. King by fighting for a minimum wage hike big enough to lift families out of poverty. The Rev. Martin Luther King Jr. left many legacies: as a crusader for civil rights, voting rights, religious harmony, peace and economic justice. As America honors the eighty-fifth anniversary of King’s birth, it is right to remember all of those legacies. But at a moment when the national debate has finally begun to refocus on the issue of income inequality that so motivated Dr. King, it is his commitment to economic justice that merits particular attention. Fifty years ago, when Dr. King marched on Washington for jobs and freedom, the federal minimum wage was $1.25 an hour. In today’s dollars, that guaranteed base wage would be $9.54 an hour. But the federal minimum wage today is just $7.25 an hour. And what is the worker who prepares and serves that hamburger being paid? That’s a question that has been asked frequently over the past year, as thousands of fast-food workers and their supporters have struck, marched and rallied to demand better pay, benefits and workplace protections. Most Americans are aware that, especially in a weak economy, fast-food restaurant jobs are no longer “entry-level” positions. In chain restaurants across the country, most workers are adults. And substantial numbers of them are trying to support families. But if they are paid the minimum wage, or even a bit more, they live in poverty. With Iowa’s Tom Harkin in the Senate, Miller is the House author of the Fair Minimum Wage Act (HR 1010), which would increase the federal minimum wage to $10.10 per hour. The rate would then be indexed to inflation, so that pay increases come when prices rise. Additionally, Miller’s bill would increase the required cash wage for tipped workers. Ultimately, increases must go higher to achieve a living-wage standard. That’s the point made by Seattle City Council member Kshama Sawant, who was elected on a pledge to fight for a $15-an-hour minimum wage and who has gotten officials in that city to begin to explore such a move. Seattle could vote on the issue this year, and Los Angeles and other cities are beginning to talk about going big in the fight against income inequality. Local and state initiatives are vital, as is the federal fight. At every level, the struggle for meaningful increases in the minimum wage respects a basic premise that extends from Martin Luther King Jr.’s time to ours: helping those who are disenfranchised, politically and economically, helps all of society. Of all the celebrations of Dr. King’s legacy, few are more appropriate than the struggle—expanding every day, going from strength to strength at the local, state and federal levels—to address income inequality by raising the basic wage for working Americans.